If you're a low-maintenance type of person, getting white teeth may seem like a bit of a chore. 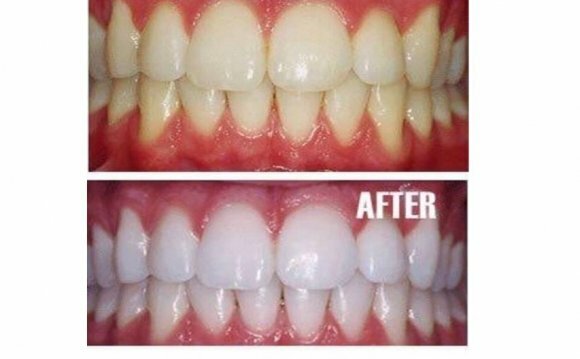 Professional bleaching and whitening kits can be expensive, messy and time-consuming to use. In comparison, baking soda - something most people already have in their kitchens - seems like an attractive whitening alternative. But how much difference can this common household product actually make? To get at that answer, let's first take a closer look at the makeup of baking soda, which is really just the common name for sodium bicarbonate. It's produced by bubbling carbon dioxide through a solution of sodium carbonate. This forms crystalline mineral salts - basically, baking soda crystals - that are then filtered out of the solution, dried and milled to various particle sizes, depending on how it will be used.